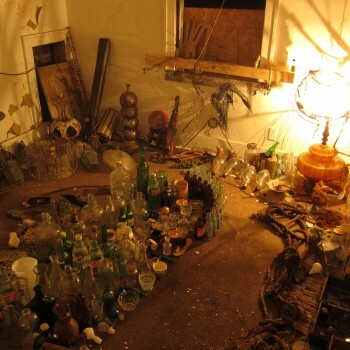 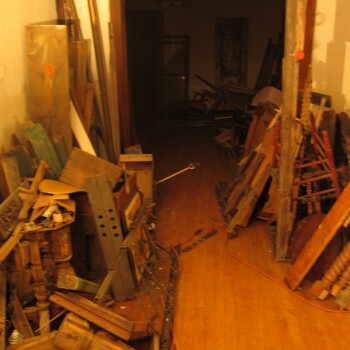 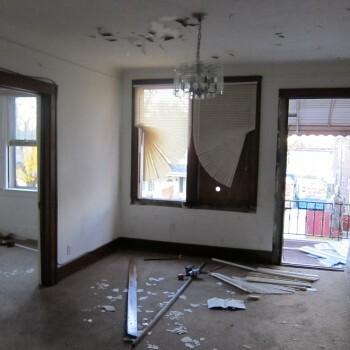 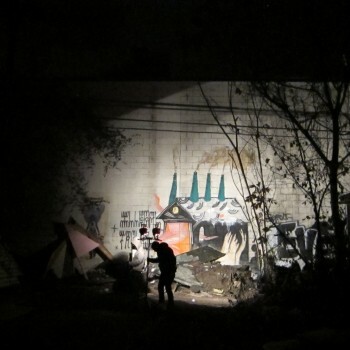 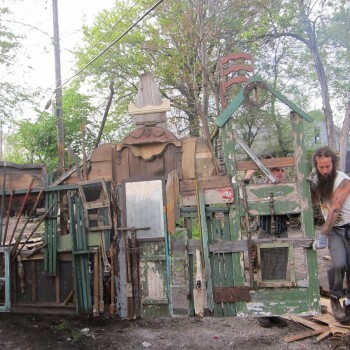 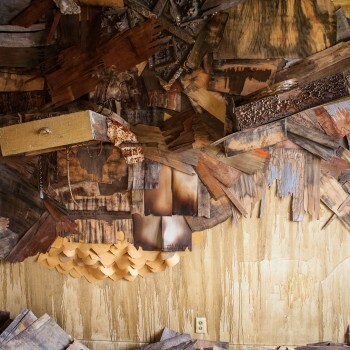 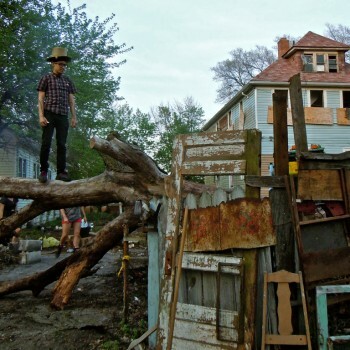 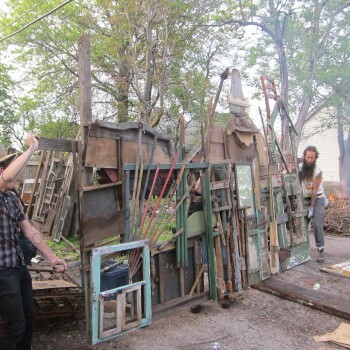 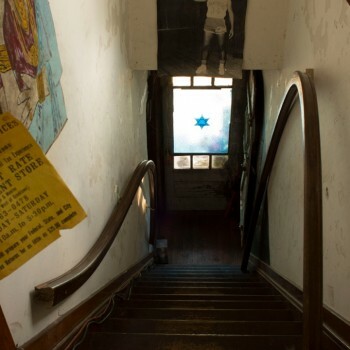 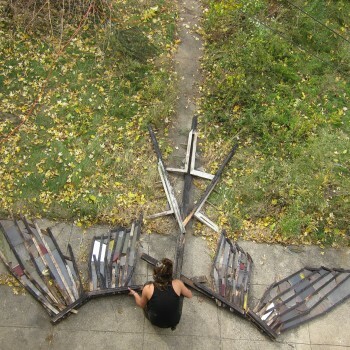 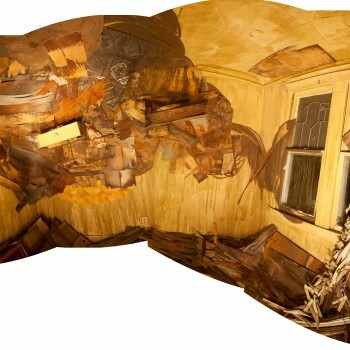 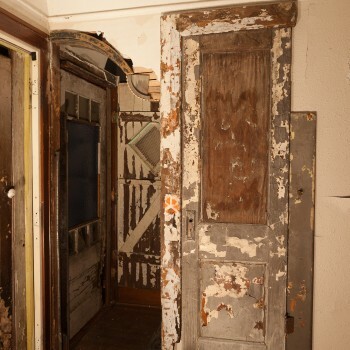 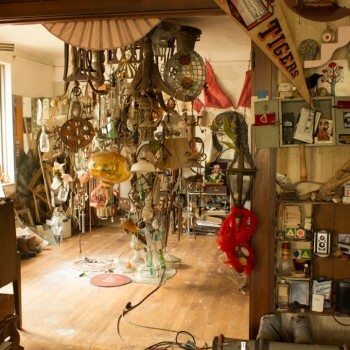 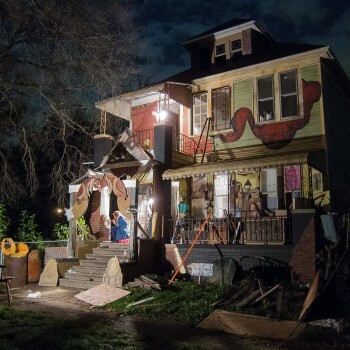 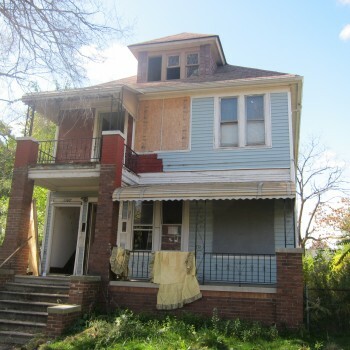 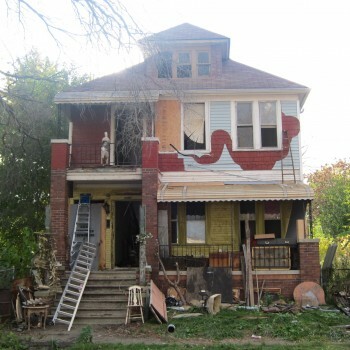 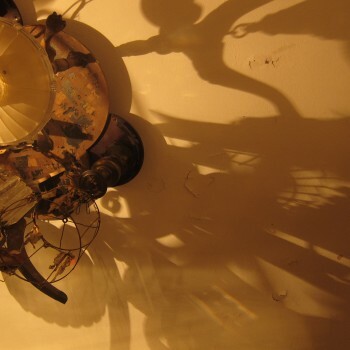 In 2010 Juxtapoz magazine gave a grant to Detroit’s Power House Productions to buy four abandoned houses on Moran Street south of the Davison in Detroit. 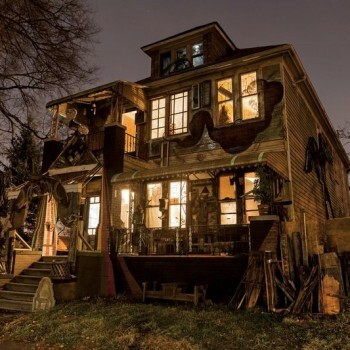 The magazine of contemporary and underground art chose six artists and set them loose to turn those houses into works of art. 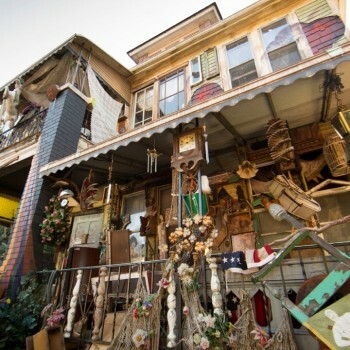 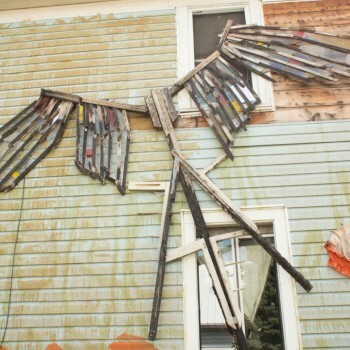 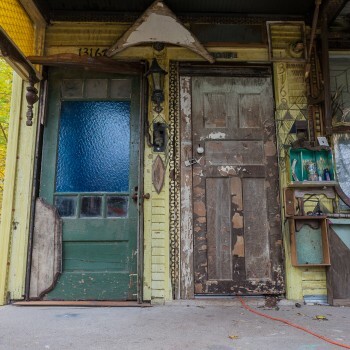 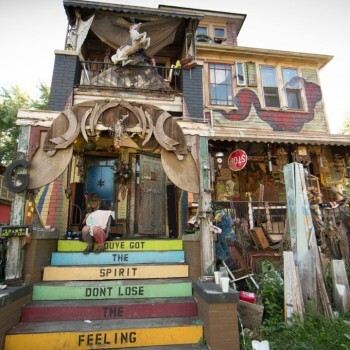 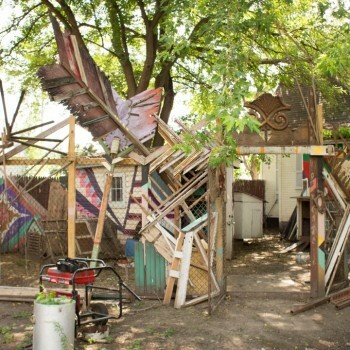 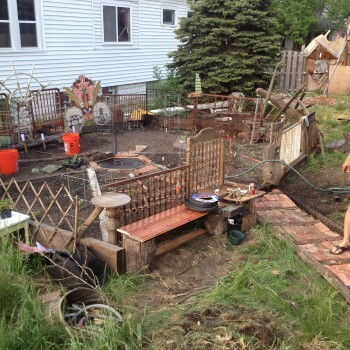 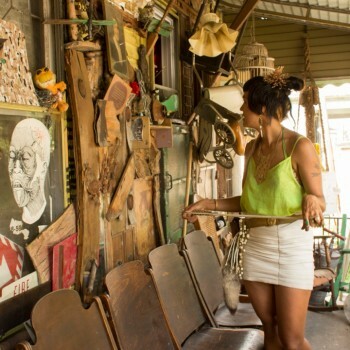 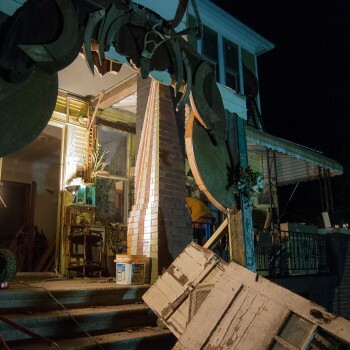 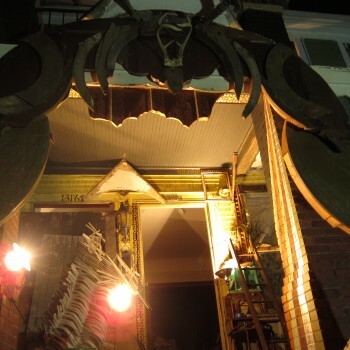 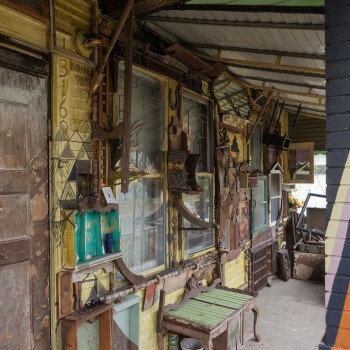 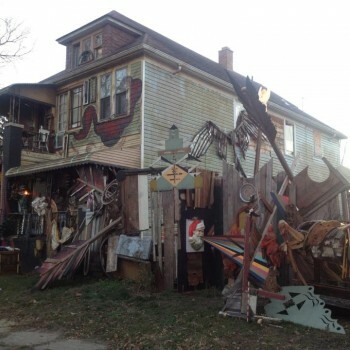 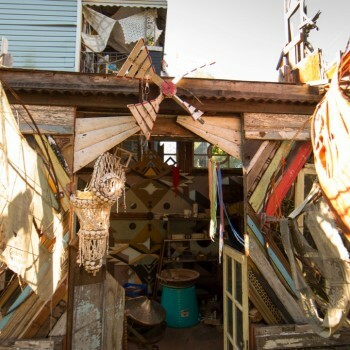 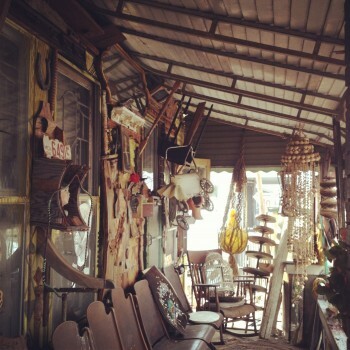 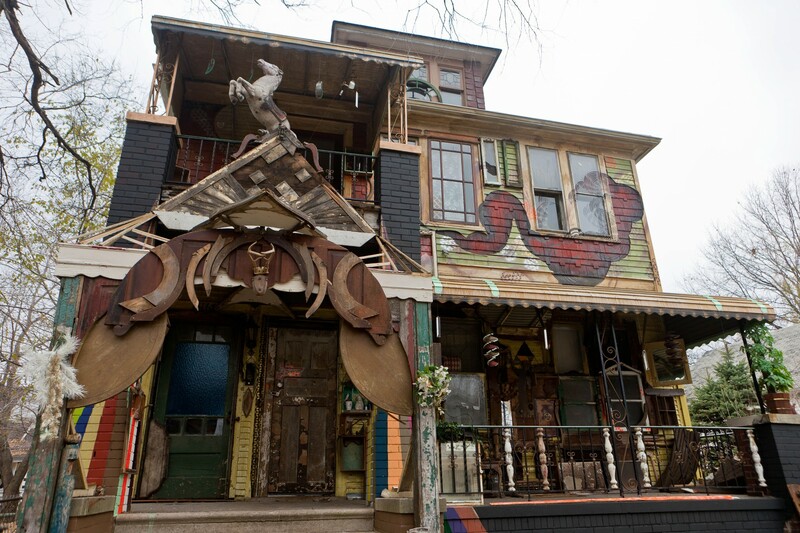 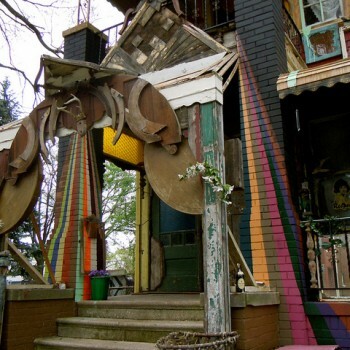 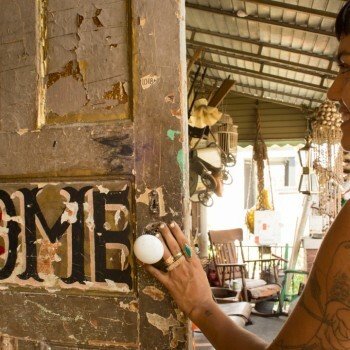 This was in the community north of Hamtramck where Power House founders architect Gina Reichert and her husband, artist Mitch Cope, live and have been conducting an experiment in integrating artists and their work into the fabric of a neighborhood. 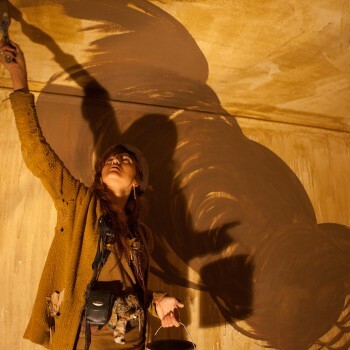 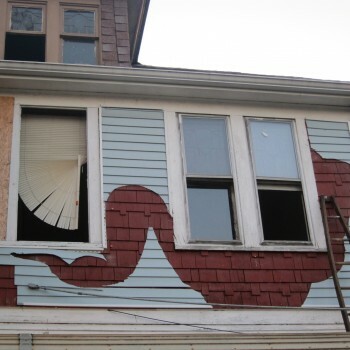 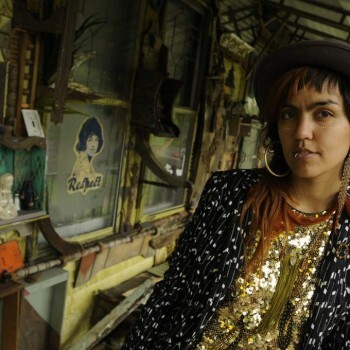 Friend and artist Ryan Doyle came to Detroit in October to help work on the house Juxtapoz invited Canilao to transfigure with her art. 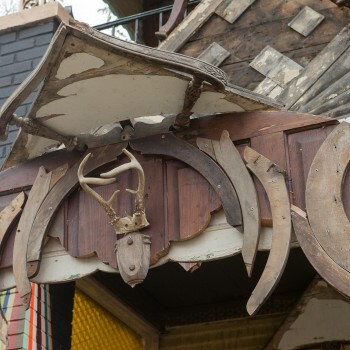 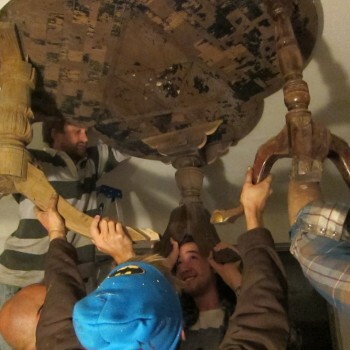 Canilao and Bartlett felt the same and they wanted to keep working on the three-story art project they call the “Treasure Nest.” When they asked Cope and Reichert if they had plans for the house, the couple said they’d sell it to them for $2,000. 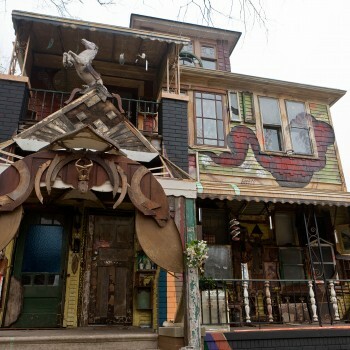 Part of the interior is an art installation, but the duplex has lots of space and it became an informal artists’ hostel and invite their friends from around the country to visit, experience Detroit and perhaps stay to create their own projects. 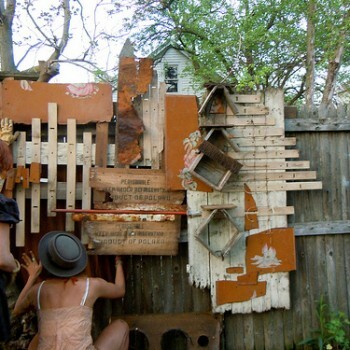 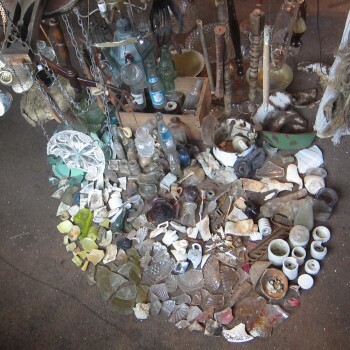 Fascinated by the large supply of abandoned buildings and easily obtainable “found” objects they love to repurpose in their art. 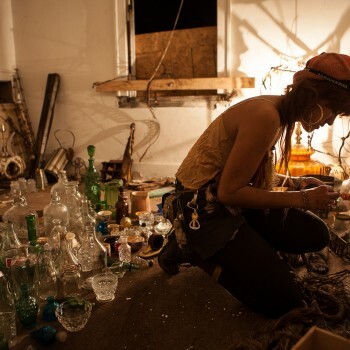 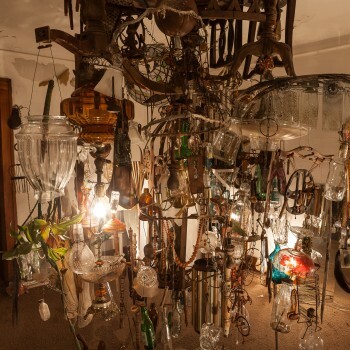 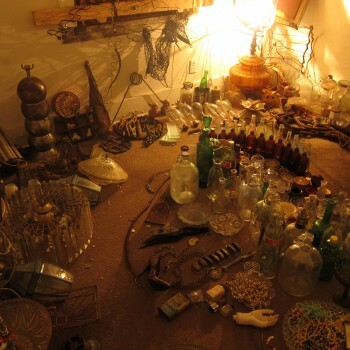 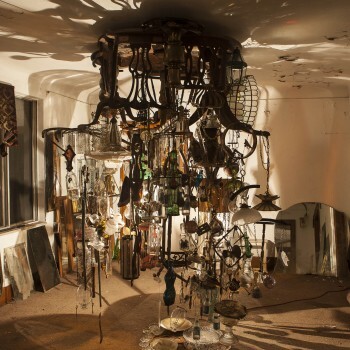 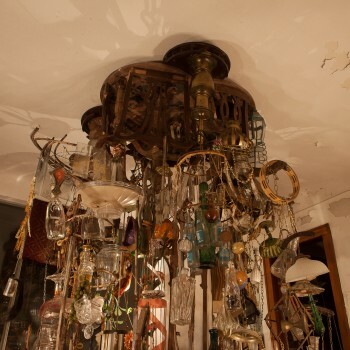 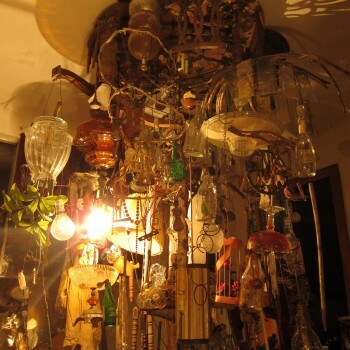 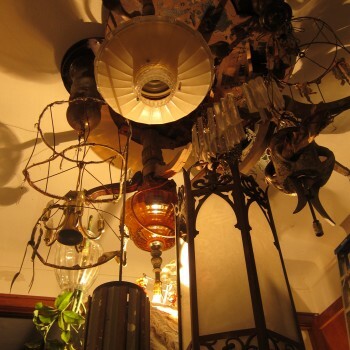 Canilao filled “Treasure Nest” with them and constructed a room-filling chandelier made entirely of abandoned light fixtures and glass. 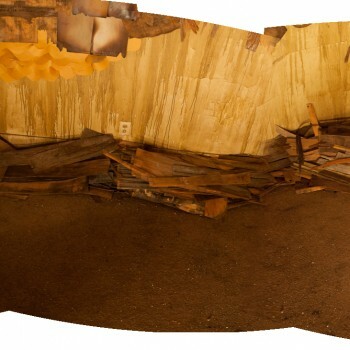 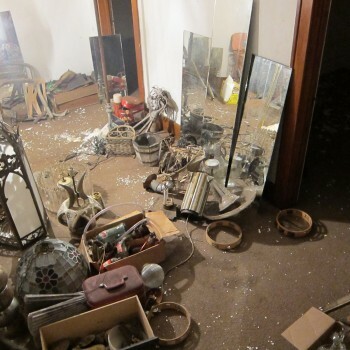 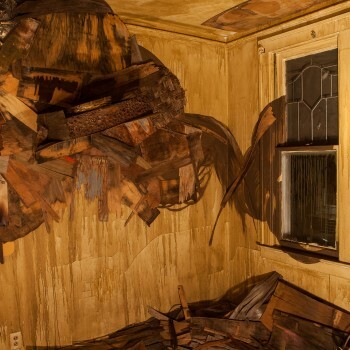 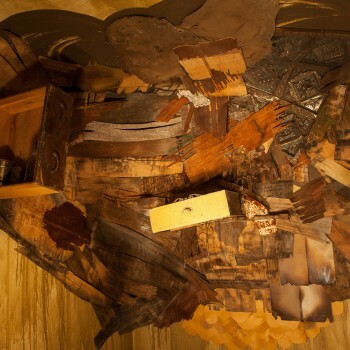 In the next room over is a tornado made up of burnt out drawers and sheets of molted off wooden veneer. 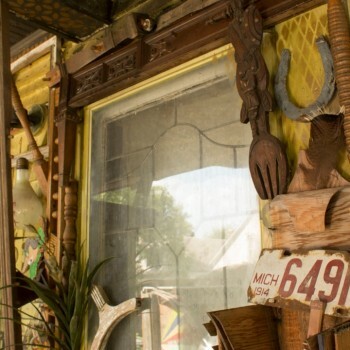 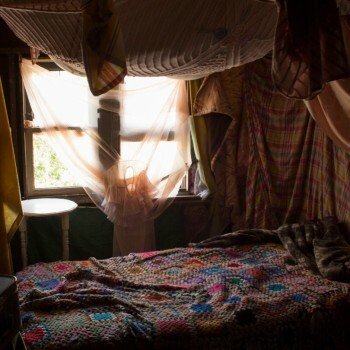 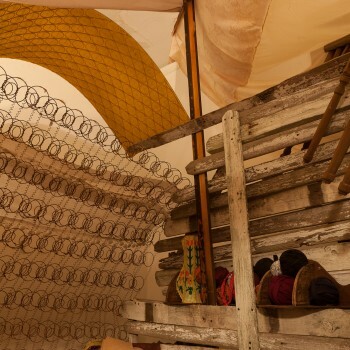 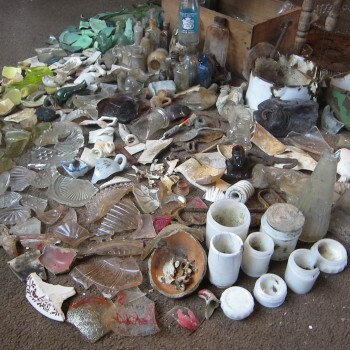 In another a fort, and each room has over time become a room of museums, archiving a multitude of found and abandoned bits of Detroit’s history and giving it new life. 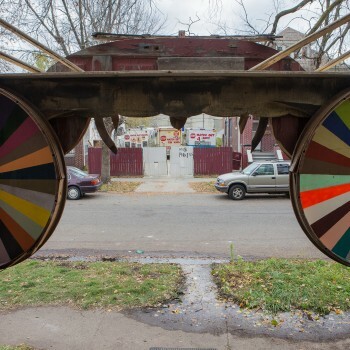 Since Detroit has become a second home base countless friends, musicians and artists have come to both collaborate and even move to the city to make lives and amazing projects and will continue to do so. 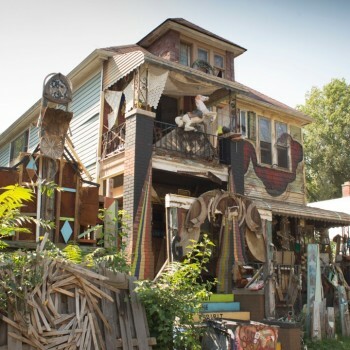 Currently I return to Detroit to work on a new growing collaborative project building a Museum of Curiosities called The Sea Foam Palace.